Russell and Kitty here. Since we have now started the year 2018, we thought we would continue with the topic of Carnival with a Stretch Finish. Why does some carnival glass have a stretch finish? 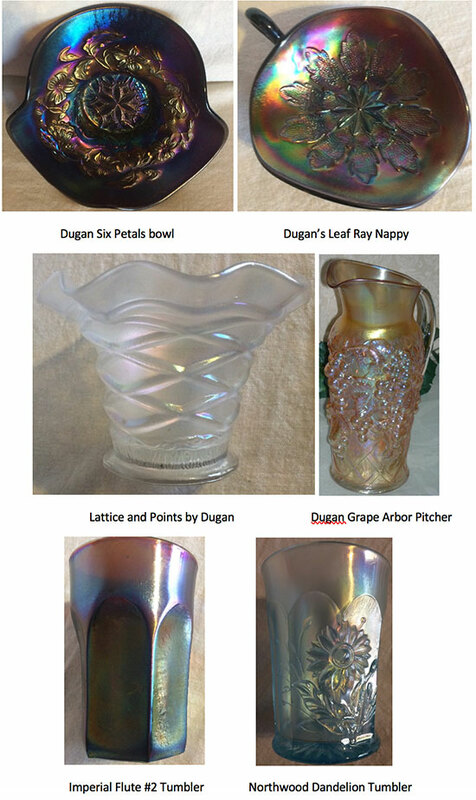 To back up a little with the basic definition of stretch glass which is pressed iridescent glass (carnival glass) which has another step of reheating the pressed iridescent glass so that the metallic salts which were sprayed on, contract to make a “stretched or onion skin” effect on the surface of the glass. This extra step of reheating the glass does tend to melt the pattern. So why does some strictly “carnival glass” have a stretch finish to the edges? The lehr may have been too hot or the workers had perfected the reheating technique without destroying the pattern. 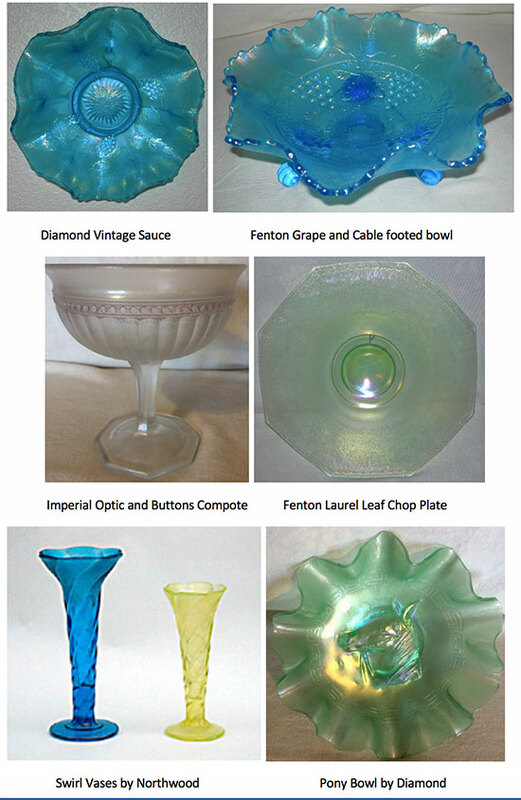 Thus many patterned pieces were meant to have the “stretch” finish; which we know to be the case with the examples shown below by the various manufacturers. Pattern Pieces that were made to have a stretch finish: these pieces were reheated after being sprayed with “dope” so they would have a “stretch” finish. 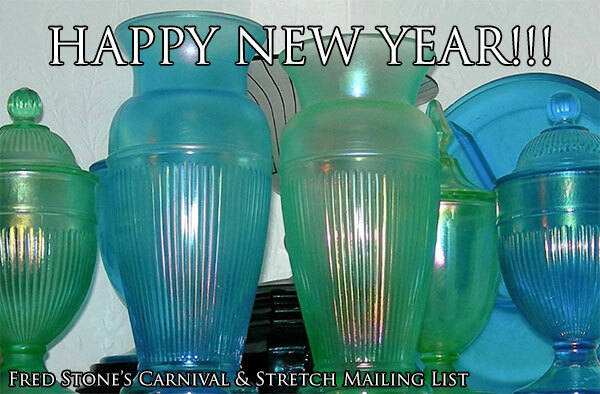 Some carnival glass pieces have a “stretch” finish by accident such as the annealing oven being too hot. Whether the “stretch” finish was meant to be on a piece of patterned carnival glass or not; it does lend a unique touch. The way the light plays on the stretch surface is very different with each piece.